When the Muslim Brotherhood came to the United States in the 1950’s, it did so with a plan. As was mentioned in UTT’s article on Monday, the U.S. Muslim Brotherhood is now openly confirming much of what UTT has been saying for years, but the MB denied until recently. Recalling their stated objective in the Muslim Brotherhood’s By-Laws to wage jihad to create an Islamic State in America ruled by Sharia law, it should unnerve Americans to know the Muslim Brotherhood built the Islamic network in the United States. 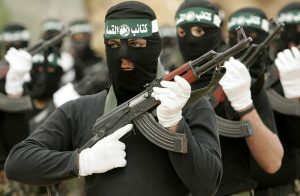 The massive amount of evidence entered into the largest terrorism financing and Hamas trial ever successfully prosecuted in American history (US v Holy Land Foundation for Relief and Development (HLF), Dallas 2008) reveals the U.S. Muslim Brotherhood built thousands of organizations to further their plan to wage jihad in the United States. US v HLF Government Exhibit 3-85 is identified by the Department of Justice as a “1991 memorandum authored by U.S.-Muslim Brotherhood Shura Council member Mohamed Akram Adlouni, recognizing ISNA and NAIT as Muslim Brotherhood organizations.” This is the MB’s “An Explanatory Memorandum” which is the MB’s strategic plan for North America. After this “recommendation” to the Muslim Brotherhood leadership was published, the U.S. Muslim Brotherhood published the “Implementation Manual” in 1992 which enumerates the goals to be achieved, which MB department will be responsible, the timeline, and follow up. Shortly after the Implementation Manual was published, the MB began creating between 80 and 120 non-profit organizations a year in the United States, and has been doing so ever since. 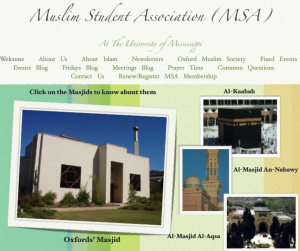 Today, the U.S. Muslim Brotherhood has nearly 800 Muslim Students Associations (MSAs) on every major college and university campus in America (and in some high schools), over 250 Islamic Societies (subsidiaries of ISNA), approximately 80% of the over 3,000 Islamic Centers/Mosques in the U.S. and thousands of businesses, media organizations, legal organizations, medical organizations, trade organizations, and others, all per their own plans. As military and political leaders from Muslim nations have told U.S. leaders, the Muslim Brotherhood has more control in the United States than anywhere else on the planet. What will our federal government do about it? To learn more about the MB network in the U.S., get your copy of the DVD “Understanding the Threat to America: The Outlawed Brief,” the book Muslim Mafia about Chris Gaubatz’s undercover experience at Hamas headquarters in Washington, D.C. (doing business as the Council on American Islamic Relations – CAIR), and the book Raising a Jihadi Generation at UTT’s online store. Prior to the 2016 presidential election, I.e. ever since President Eisenhower had warned the country to beware of the military-industrial-congressional-complex upon leaving the White House, what the U.S. government has intended to actually “DO” about anything, other than cling to power with the help of a gang of like-minded schmoozers & boozers adept at playing abracadabra games with the minds of the American people from the floor of the Capitol, any question relevant to what happens next should be posed to the Wizard of Oz. Furthermore, in addition to the need for federal legislation making polygraph examinations in connection with subversion & treason mandatory, and with no exceptions, since the United States today – thanks to demonstrable dynastic political-greed seasoned with ensured elitist immunity and treason on behalf of sharia-adherent Islamic invaders – is thusly as much an occupied country on the brink of annihilation as was most of western Europe during the second world war, the following steps need to be taken in the literal interest of U.S. survival – and fast! I.e., an emergency plenary session of Congress, consequent of reviewing the body of irrefutable fact contained in the “explanatory memorandum from the archives of the Muslim Brotherhood in America*”, which was seized by the FBI from a subterranean basement in Annandale, Virginia with the authority of a federal warrant and subsequently introduced as a government exhibit in the biggest Islamist terrorist money laundering trial in American history, should be asked by the President for an official declaration of war with the “global Islamic Movement”. [*See GOVERNMENT EXHIBIT 003-0085/3:04-CR-204-G/U.S. v. HLF, et al]. Thence, inasmuch as Article-3, Section-3 of the Constitution defines acts of levying war against the United States — which make no mistake, is exactly what the Muslim Brotherhood has been doing since it arrived in our country — or adhering to their enemies, by giving them aid or comfort, as treason, any perpetrator of said crime should be tried by military tribunal under the purview of the Department of Defense, and if found guilty, executed by a military firing-squad. The Canadian prim minister liberals are complicent in the overthrow of our democracy by a foreign enemy ,namely Islam.